Recovering drug addicts and alcoholics from Leeds have become broadcasters, as BBC Radio Leeds and homeless charity St George’s Crypt join forces for a new programme. The new initiative, called BBC Open Air, is a collaboration with St George’s Crypt and will see the station open its airwaves to people whose voices and stories would not usually be heard. Earlier this year, 15 recovering drug addicts and alcoholics from the St George’s Crypt Growing Rooms rehabilitation programme were invited to take part in a number of workshops run by BBC Radio Leeds. These interviewing and presentation masterclasses were designed to give them a taste of broadcasting, improve their confidence and develop new skills to help gain future employment. The project has culminated in a one-hour radio programme, in which the group challenge politicians, interview their heroes and reflect on their own stories through music. 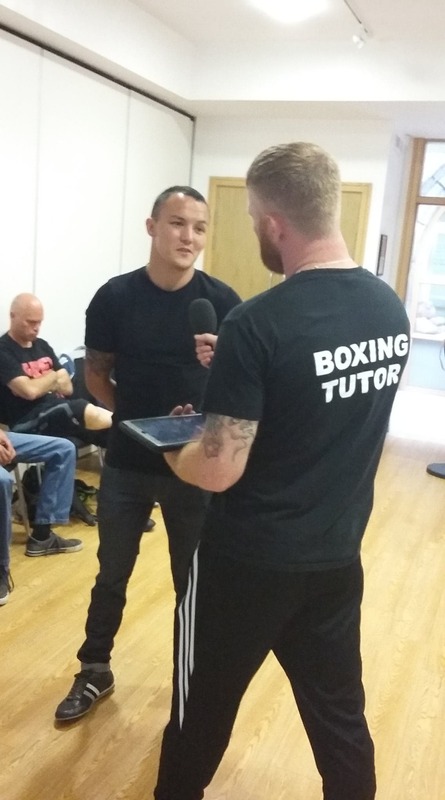 Members of Growing Rooms have interviewed Leeds boxing world champion Josh Warrington, challenged Conservative MP for Elmet and Rothwell Alec Shelbrooke about the government’s homeless policy and quizzed Leeds City Council Chief Executive Tom Riordan. They also spoke to former government Director of Communications Alastair Campbell, who shared with them details about his own struggles with addiction. Alastair Campbell said: “I really enjoyed talking to Andy Holland and Martin Henderson as part of the BBC Open Air project with St George’s Crypt. They had clearly done their research and asked really good questions about politics as well as about mental health and addiction. BBC Radio Leeds and BBC Look North presenters including Richard Stead, Stephanie Hirst and Amy Garcia shared their experiences, top broadcasting tips and advice with the group. BBC Open Air is presented by Andy Holland and Stephen Laws from Growing Rooms, and will be broadcast on BBC Radio Leeds next week. Open Air will be broadcast on BBC Radio Leeds on Thursday August 30th at 2pm. Members of the Growing Rooms project will also be taking part in the Big Yorkshire Phone-In with Liz Green on Friday August 31st from 12pm.